Why your second home should always be smarter than your first! 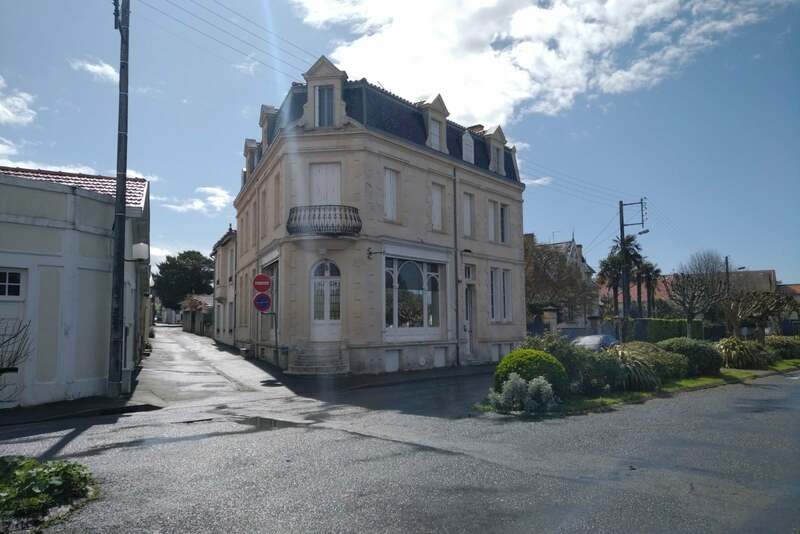 A historic building in the centre of a small town on the West coast of France is probably the last place you would expect to find the latest in Smart Home Automation technology. Last year, when the owners Andrew and Susan arrived for a well deserved holiday break, there was no warm welcome. All they got was yet another bill to fix their central heating system – so it was a case of enough is enough or ‘trop c’est trop’ as they say in France! How to heat a large house just a little for a lot less? This house is large (in a previous century it used to be a hotel), and the ground floor has exceptionally grand, high ceilings. There is also a large cellar with a water sump to clear ground water. Down here you will find a gigantic gas boiler which, although being less than five years old and very efficient, physically shakes the room when its switched on. Not to mention the owner’s wallet! The heating in the house was controlled by just one wired thermostat, mounted up at shoulder height, in the ‘Grande Salle’, which also happens to be the largest, coldest room in the house. For winter frost protection, if the temperature dropped below 8ºC the boiler would switch on and raise the temperature of the Grande Salle by three degrees and then switch off. The problem was that, before it could heat up the house it had to heat itself and the whole complicated system of pipes and radiators over three floors and a cellar. Over previous winters, even in this frost protection mode, the system was very expensive to run. Typically over €1,000 a winter – all for heating an empty house! If that wasn’t bad enough, they would usually end up having to take the best part of their first week on arrival in France dealing with all manner of ‘surprises’. Namely, expensive maintenance of what had gone wrong since their last visit. Never has the phrase ‘spending time on holiday’ been more apt! 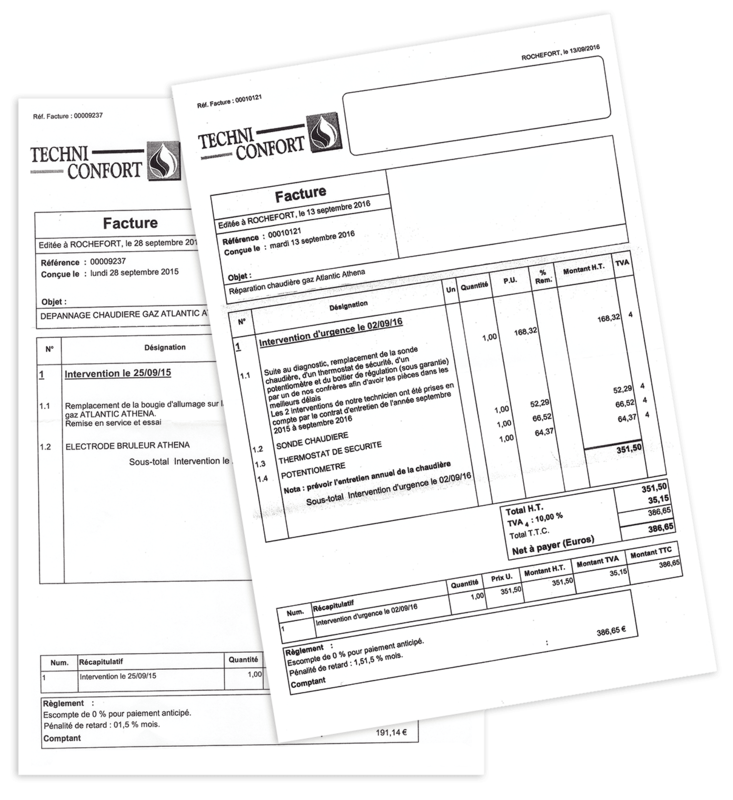 (above) Two real life examples of ‘spending’ time in France – on boiler repairs! The best setting for your boiler over winter in a 2nd home, is OFF! Sue and Andrew reasoned that fully automating and upgrading their existing heating and hot water system, was not the answer to the fundamental problem; the existing heating system was a very large (expensive) hammer to crack a relatively small nut. They opted instead to completely shut down the entire wet system over the winter months and run a simpler retro fit electric heating system that could literally be ‘rolled out’ each autumn and packed away in late spring. This low cost over winter solution, therefore, only needed to warm the house just enough to prevent it from freezing and only do so in the places that were at most risk. Additional ability to monitor house vital signs such as smoke, leaks weather and access. Virtually every domestic system in the house is French, and these had presented challenges in the past, simply in the language barrier in maintaining ‘discussions’ about servicing costs. The final requirement was, therefore, that Andrew and Susan needed to find something that was manageable (and expandable) from the UK. After some online research, a Loxone solution was shortlisted, and ACC HAUS was the Loxone partner chosen to design and run the Smart Home automation project. 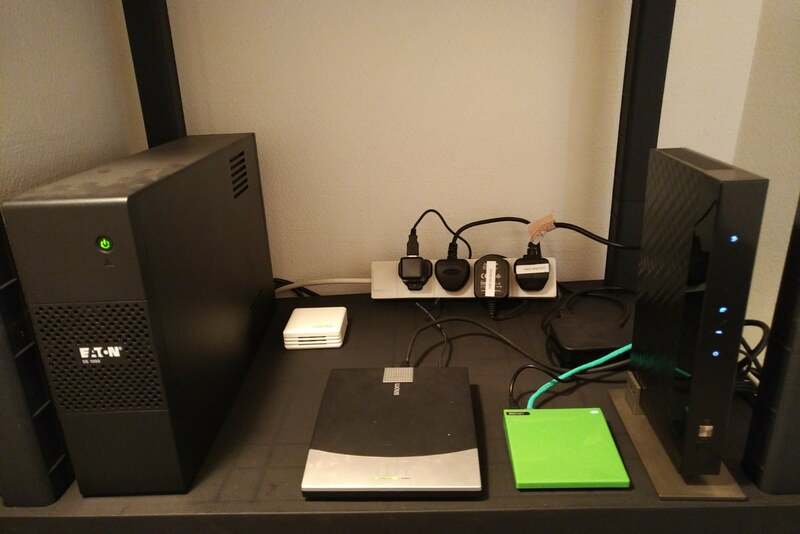 Right on brief, ACC HAUS provided a pre-programmed wireless Loxone system of temperature aware intelligent wireless smart plugs, which plugged into existing mains sockets. Sue and Andrew used low wattage tubular heaters with no exposed elements, along with several more powerful oil filled radiators for targeted heating of ‘at risk’ areas. 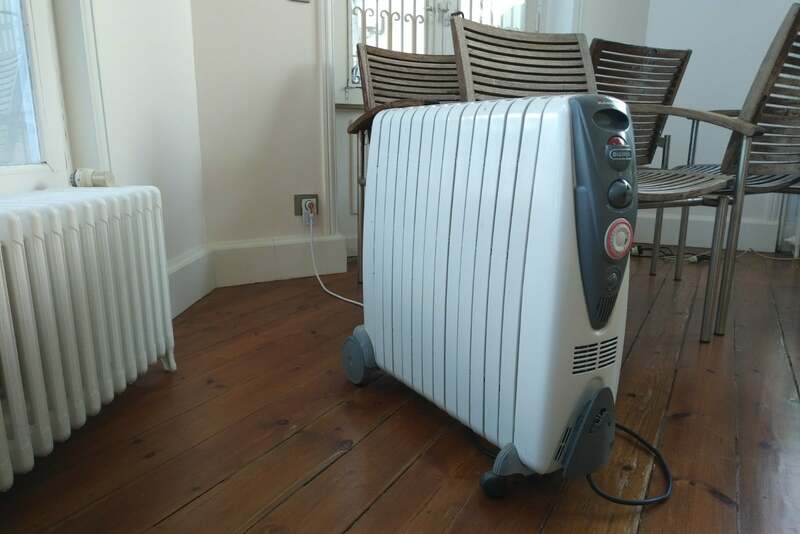 With 10 heaters installed in 8 rooms and everything running, the combined KW usage is 15KW – easy enough for the house to handle, but with a history of poor power quality, it was a concern that if the power was cut to the property in the winter (as happens is usually the case), the temperature of the entire house would drop below the frost protection threshold. When the electricity supply eventually returned, it was quite possible that all 15KW of heating would initialise simultaneously, causing a surge, and potentially tripping the house supply. Ramifications of this scenario occurring would be catastrophic, with loss of all monitoring and heating control for an extended period. Specifically created to address this particular situation (and a great illustration of why Loxone is a far better solution than other ‘smart’ power plug systems because it more programmable) ACC HAUS implemented their RSO (Random Smart plug On) programming ‘block’. This special program flow prevents devices connected to smart plugs from all powering up at the exact same time, even if an event such as a power cut might force such an event to occur. RSO uses logic which produces a randomly generated two-digit number and then uses this number as the power on delay time in seconds for each smart plug. This way smart plugs / devices could be easily added to the system and you would not need to know which plug is starting first – which is what you would need to do with fixed delays. In this case the starting order is not at all important, just that we never want a situation where multiple heaters are starting up at the exact same time. (above) The small blue block situated to the bottom left of the water softening unit is Loxones wireless leak detection system. Down in the cellar, there is a water softener which decided to spring a leak last year. Had the owners been home, the leak would have been spotted the same day and would have been easily dealt with, probably with the help of a couple of towels and a quick mop. Unfortunately, it continued for weeks, and resulted in a sizable repair bill and insurance claim. This was not the first flood either, the sump had overflowed in heavy rain several times because the pump had failed and flooded the cellars. This was yet another call for a Smart Home automation solution. ACC Haus installed Loxone’s wireless leak detection system which now alerts the owner if a leak occurs, enabling them to detect and rectify any leak before it becomes a serious issue. 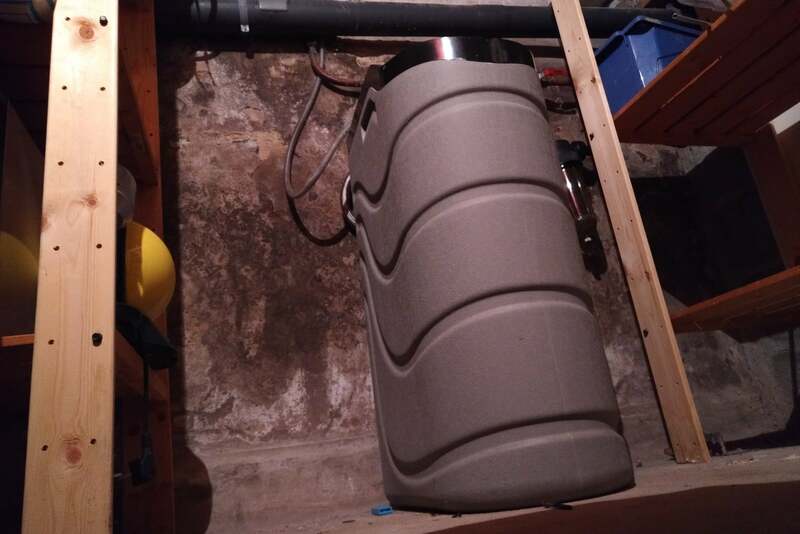 To install this system, all the owner had to do was the place the wireless sensor on the floor in the cellar. (above) Loxones wireless smoke detector installed on the ceiling of a hallway. Its battery should last a good four years. Loxone’s wireless smart smoke detection system now gives the owners the extra peace of mind that all is OK. In fact, all our smart home sensors can alert the home owner by email or even a phone call. Sue and Andrew’s Second Home is in a town, but imagine what could happen to a Second Home in a remote country area if a fire remained undetected. 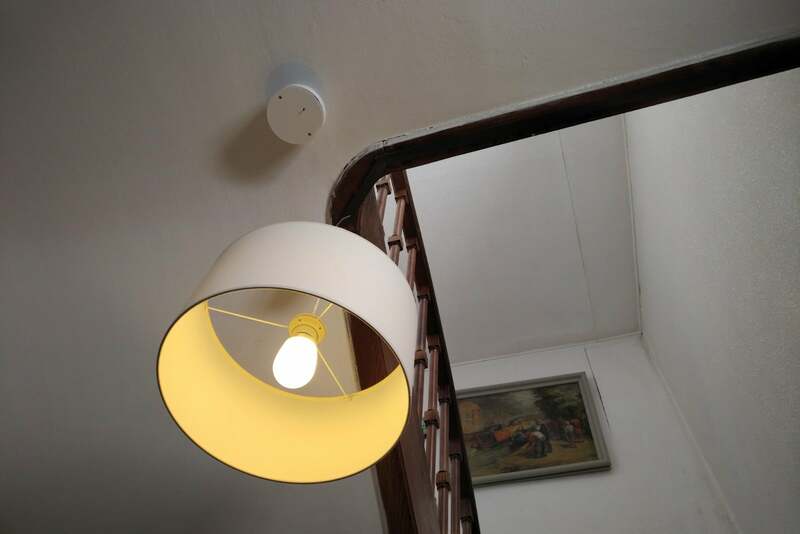 The house is already fitted with a comprehensive fire detection and alarm system, including backup lighting, so just a single smart device was deployed on the first floor for ‘remote observational needs’ however more detectors are planned to be added in the future. This is just one example of how Smart Home automation can keep you safe and informed at all times. Putting wireless contacts on windows and doors are handy for security, but in addition to triggering an alarm, the door and contact system can also produce a log of ‘use.’ For example if a cleaner is charging you for a half day clean – but the front door was opened / closed at 1pm and then again at 2pm – perhaps you should have a chat with your cleaner! It is also handy for checking that the kids did indeed close all the windows and doors before they left home! Loxone smart sockets are powered by the mains but the battery devices use either AA, 9V or CR 2032 (watch batteries) which are all easy to buy, even in supermarkets. No exotic formats here. All wireless devices powered by batteries will last for at least 2 years and the Smoke detector will last for at least 4 years. What’s more, it’s easy to check the status of battery levels using the internet and, even if you don’t, the system can email, or even phone you to let you know a battery will need replacing long before it runs out. (above) The only challenge installing the weather station was climbing up on the roof! Now, the Weather Station was a bit of Smart Home automation fun. It meant that Susan and Andrew could wistfully check the temperature and sunlight levels while they were snowed under with work. But, practically speaking, the ability to monitor the inside temperatures and the outside weather conditions is quite useful. The Weather Station’s forecasting ability can spot deep, cold ‘beasts’ well before they bite and then automatically activate the new heaters to ‘pre-warm’ in advance. In addition to outside temperature, sunlight, wind speed and rain are also monitored. 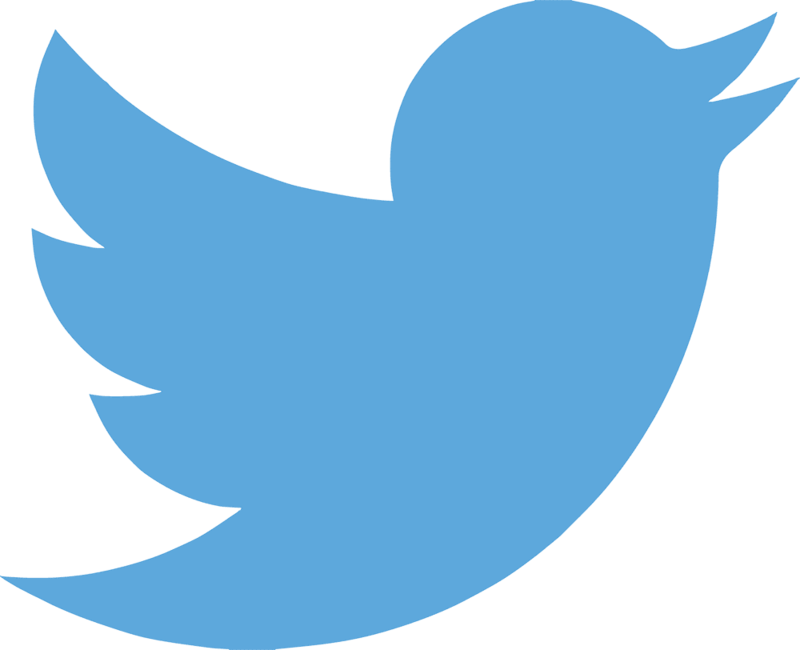 The data produced from this can also be used to supply other smart devices with useful information. For instance, using a simple smart timer in an empty Second Home is conspicuous if time switched lighting comes on at the exact same time each day, even when it is not dark in early spring. This is a tell-tale sign that many burglars look out for to work out if you are actually at home. To a burglar this is as good as a poster saying, ‘I’m not going to be home for a while, come and help yourself!’. 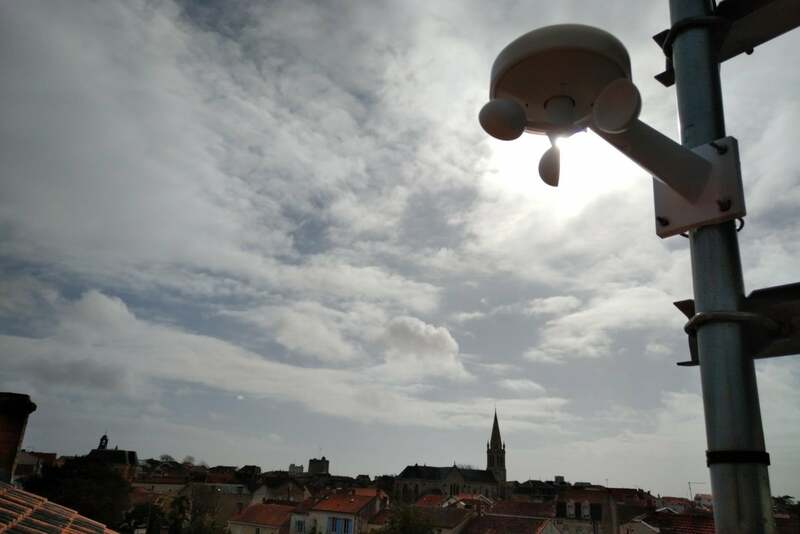 Using the sunlight sensor on the weather station together with lamps connected to smart plugs, you can switch these lamps on and off in regular or randomised sequences, but only when it gets dark or overcast – so more intelligently emulating ‘real’ habitation behaviour. 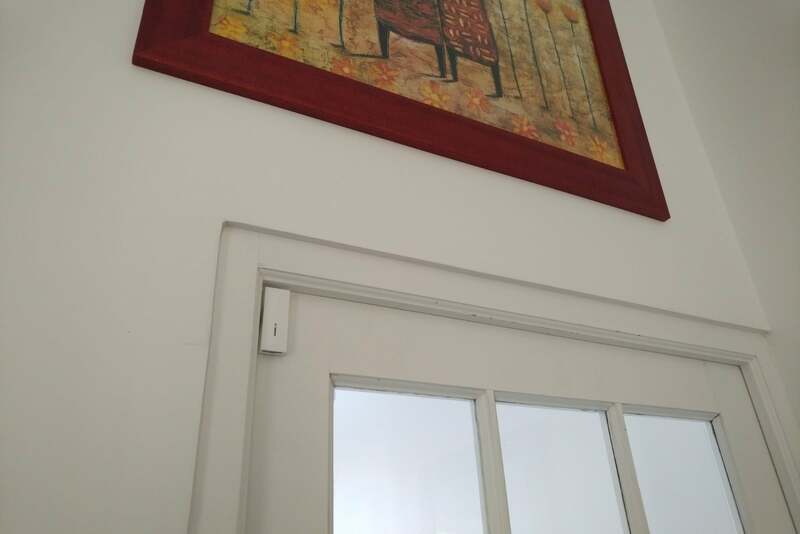 “Our ACC Haus Loxone based wireless Smart Home Automation solution was low cost, very quick to implement, and has been extremely reliable. Thanks to this new system, we are now able to manage heating, plus monitor for leaks and smoke in our second home in France over the winter months whilst we are away. 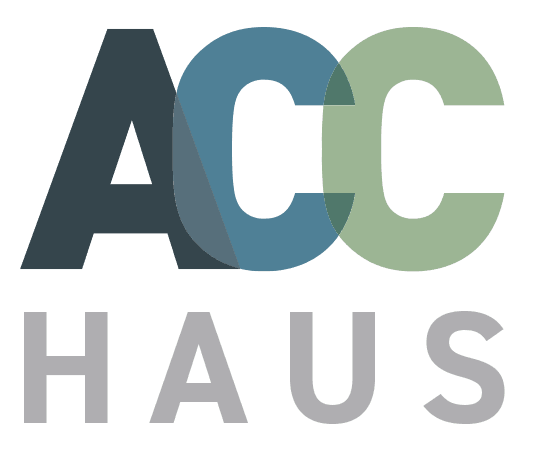 Our entire solution was completely pre-configured by ACC HAUS in the UK and was simple enough for us to set up ourselves. If constant worry or heating costs have taken the fun out of your Second Home, why not give us a call and ask us about our special solution for 2nd homes abroad called ‘Expat Smart Pack‘. In addition to the ‘over winter’ solution we have detailed on this case study, we can fully automate full intruder alarms, cameras, heating systems and energy metering. Our Smart Home Automation technology can definitely put your mind at ease. 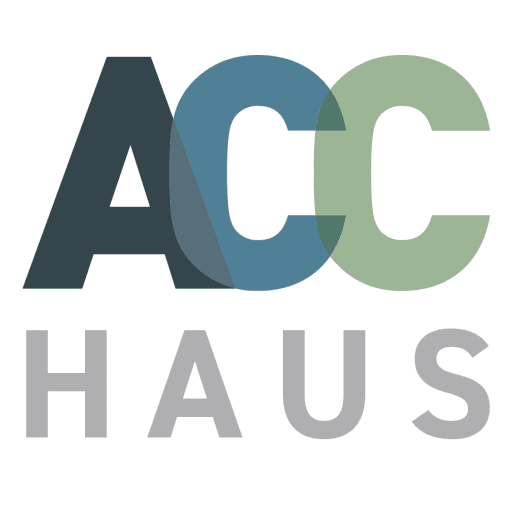 ACC Haus makes your Second Home Smarter than your First! Herschel Summit 2600: Epic FIR to win heat loss battles! Milesight: Going the ‘whole hog’ for garden wildlife viewing! 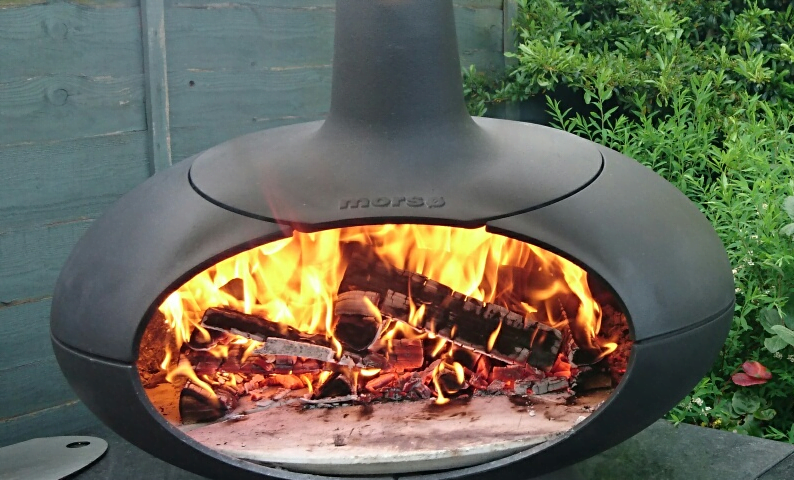 The Ultimate Pizza Oven: More Uses, More Usage: Morsø Forno!